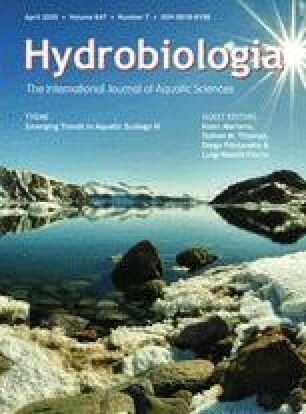 A survey of Connecticut lakes and rivers revealed the presence of 7 species of freshwater sponge: Spongilla lacustris, Ephydatia muelleri, Eunapius fragilis, Anheteromeyenia ryderi, A. argyrosperma, Corvomeyenia carolinensis, and Corvospongilla novaeterrae in order of decreasing frequency of occurrence. Corvomeyenia carolinensis has not been reported previously beyond its type locality in South Carolina. In addition, microscleres of Spongilla lacustris, Anheteromeyenia-like megascleres, Ephydatia muelleri-like megascleres, and smooth megascleres (amphioxeas), which could not be assigned to a particular species, were found in surface sediments from lake cores. Spongilla lacustris inhabiting small rivers produced brown, thick-capsuled gemmules during the summer and yellow, thin-capsuled gemmules during the fall. The thick-capsuled gemmules, but not the thin-capsuled gemmules, are tolerant of desiccation; and populations of Spongilla lacustris and Ephydatia muelleri survived severe drying of their habitats during the summer.